Well, I should have seen it coming. I just did my first Facebook Live event last night, and my publicist at HarperCollins tells me that, all told, I had over 3,000 viewers! Now, that most likely includes people who only logged on for a portion of my talk, but it's still a pretty good number. Anyway, after I did a few readings from my new book, J. Allen Hynek bio The Close Encounters Man, and talked about the ten ways you can tell if you've been abducted by aliens, and then I opened it up for questions. That's when when things got interesting. One questioner was very concerned about what happened to Barney & Betty Hill's dog Delsey when Barney and Betty were abducted by aliens in 1961. I'm not sure what the issue was--the questioner seemed to think that Delsey had been abducted, too, but according to the Hills' testimony under hypnosis Delsey was curled up in a ball in their car during the abduction experience. Does this look like a man who would spread disinformation? Another questioner asked if the Hills had been subject to "MK Ultra" CIA LSD experimentation. I don't believe they were, but I thought it was an interesting theory. Another person thought Barney & Betty faked the whole thing, which I absolutely do not believe. Then the subject of "The Bennewitz Case" came up, when someone asked, "Do you feel Hynek was used in the bennowitz [sic] case to feel [sic] him disinformation?" Paul Bennewitz was a guy who lived near an Air Force base in New Mexico. He claimed to be able to intercept Air Force communications with aliens, and further claimed to have seen many strange aerial craft in the sky above the base. 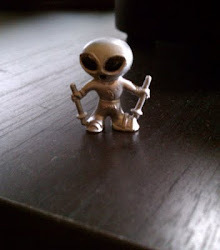 According to some stories, the Air Force decided that, rather than simply ignore Bennewitz, they would mess with him, give him tantalizing clues about alien activity then discredit him and eventually drive him nuts... As part of that effort, they allegedly provided Bennewitz with a device or computer program that he could use to decode alien radio transmissions. Part of this story is that the Air Force had Dr. Hynek himself deliver the radio decoding device or program to Bennewitz. Thus the listener's question, "Do you feel Hynek was used in the bennowitz case to feel him disinformation?" And, thus, my answer: No, I do not! I have two reasons for replying in the negative. It would be absolutely out of character for Hynek to participate in any effort to mislead or discredit a UFO witness. The Bennewitz affair is said to have taken place in the early 1980s, and to the best of my knowledge there is no indication that Hynek was employed by the Air Force at that time. His work on Project Blue Book had ended in 1969, of course, and his last known official dealings with the Air Force were in 1973. 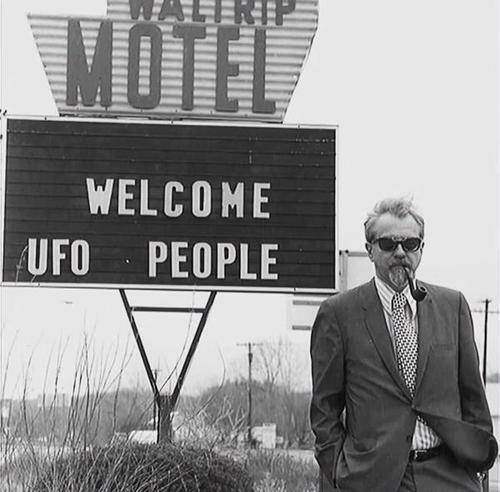 By the time of the Bennewitz affair, Hynek was completely immersed in his own Center for UFO Studies (CUFOS), and would not have been out running errands for the Air Force. Then there's the fact that the entire Bennewitz story is, from beginning to end, completely bonkers. Why would the Air Force go to such extreme lengths to discredit a guy who seemed to be pretty good at discrediting himself without any outside assistance? I just don't see it. 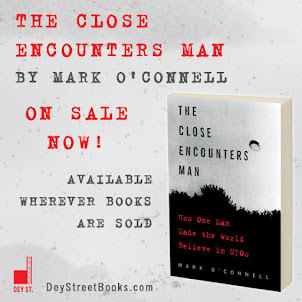 Still, it's a good reminder that, as I continue to make these public appearances, I'll continue to be asked odd questions about odd UFO stories and odd conspiracy theories. It just comes with the territory. You can watch my Facebook Live video here. The Bennewitz case fascinates me. I'd like to add an additional point to your list of reasons not to believe Hynek was involved: to the best of my knowledge, the only source for the claim that Hynek was involved is Bill Moore, who has admitted to lying in the past on a massive scale. Why should we believe him now? Yea, I agree completely. I've never seen anyone but Moore making the Hynek accusation. Pretty weak, but why do people still want to believe? ?